This three-hour tour started off a little rocky when an elderly gentleman in our group ran into a stopped car at an intersection. We may have rolled our eyes a little bit when this happenend (refrain: dramatic foreshadowing music). From there, we rolled down the streets of DC, stopping occasionally to look at monuments and get a bit of a guided history tour. We also stopped occasionally because I kept falling off my Segway. I fell a total of *three* times. To break it down for you, I've assigned a special rating system that details our tour guide's reaction and the amount of pain I was in. Between falls 2 and 3, we were stopped in front of the White House, where Dilettante Amy seemingly became possessed. She began turning 360s in a tight circle with a maniacal look on her face all while making beeping noises. This sent all of the other dilettantes into fits of hysterics. Also between falls 2 and 3 (and after I had tried to convince Tour Guide Steve that my Segway was defective, we overheard a smug/nerdy -- "smerdy"? -- member of our group saying sarcastically, "Oh, I'm sure it was a defective SEDGE-way." 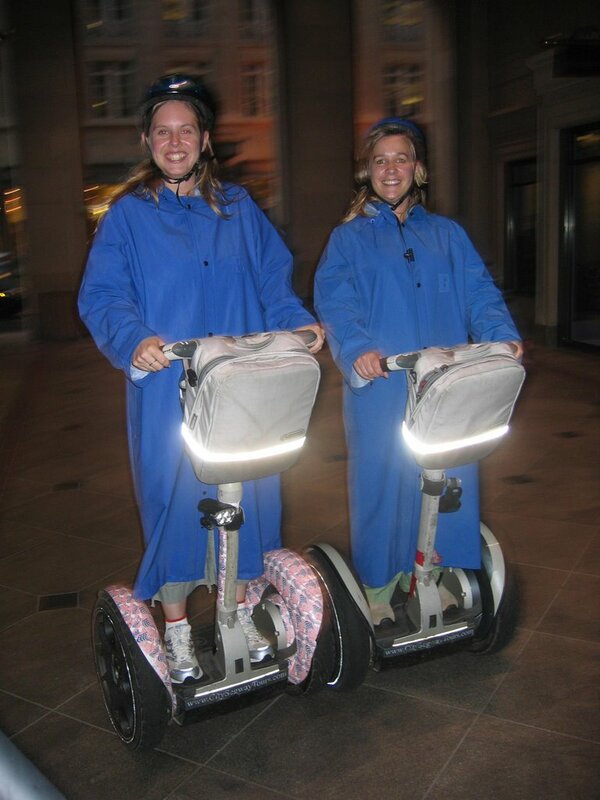 From that point forward, we could no longer call it a SEG-way. It was (and still is) a SEDGE-way). 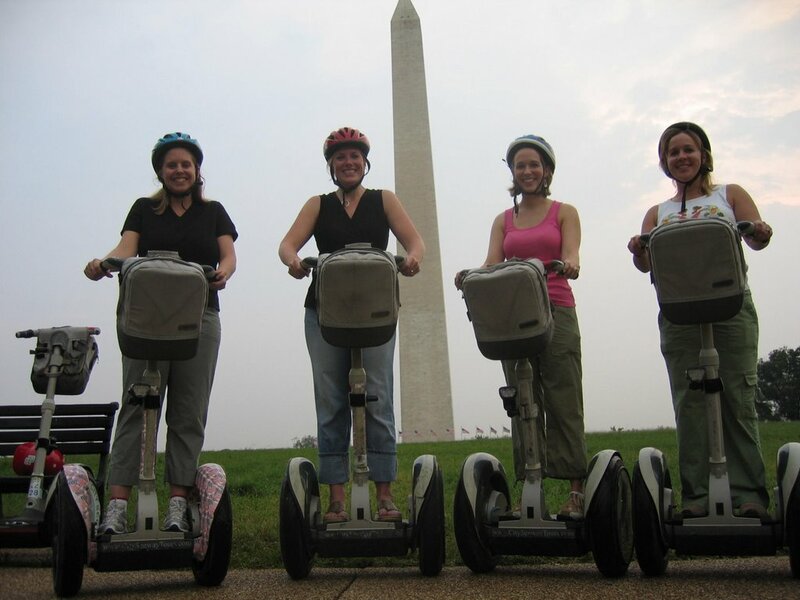 After we had locked up the Segways to take a walking tour of the last of the monuments, we went back to the Segways and Steve asked us if we remembered which Segways were ours. Amy deadpanned, "well, we know which one is Kathleen's" (pointing to the one sans a handlebar). I was forced to fill out a damage report saying that I would pay $500 to cover the repair of the Segway ("forced" because they had my credit card number on the reservation...there was nothing I could do at the time). It sounds to me like you guys acted like idiots on this guys segway and then refused to pay for breaking one of them.